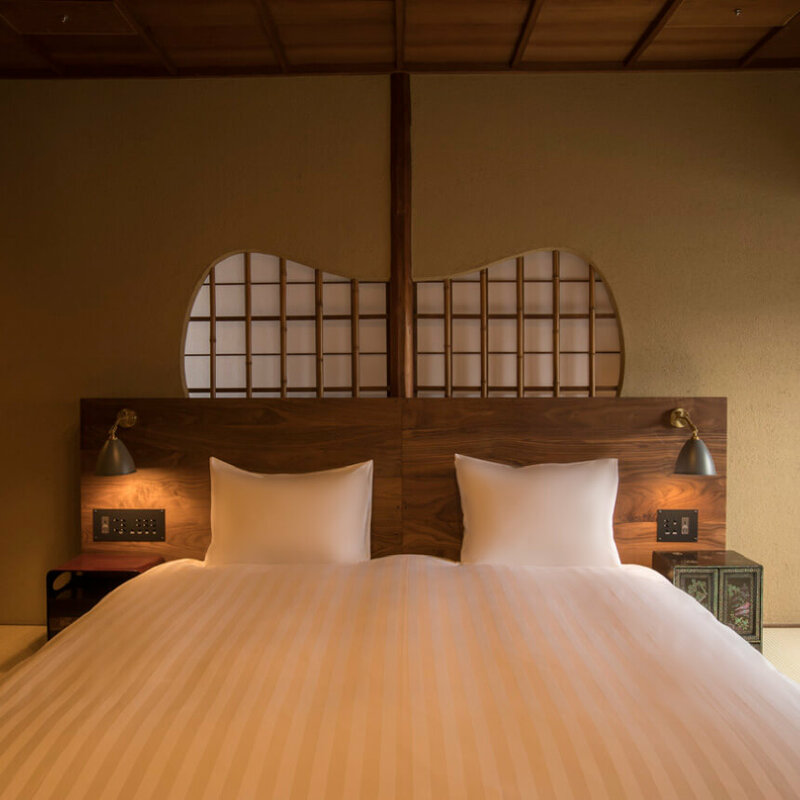 In the main building you can feel the sukiya architectural style of an old established restaurant that dates back a hundred years; while the annex is designed in a modern Japanese-style. 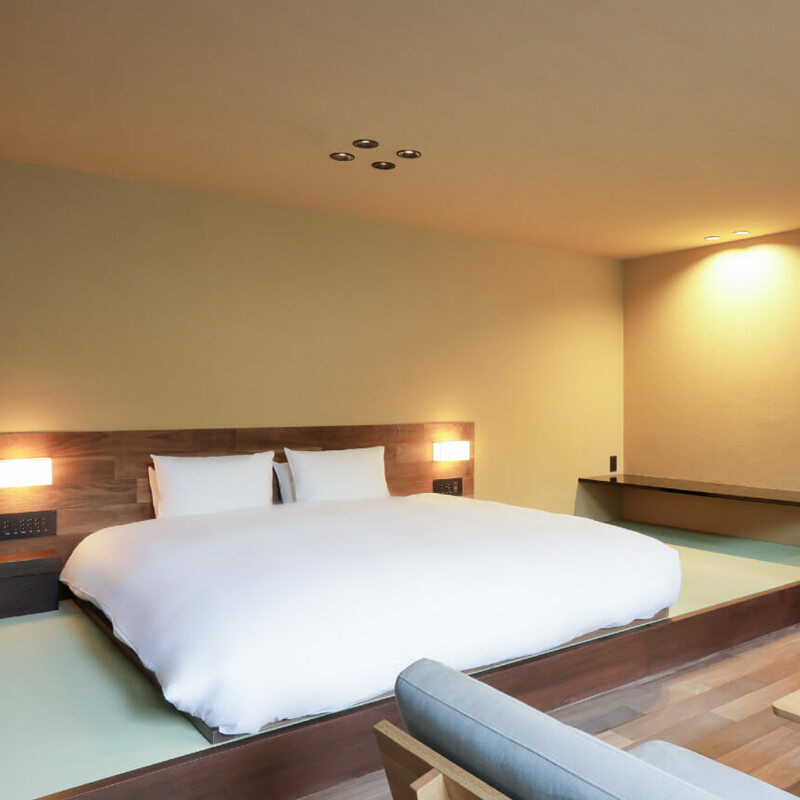 What both of these spaces have in common is the spirit of “suki” (“refined taste”). 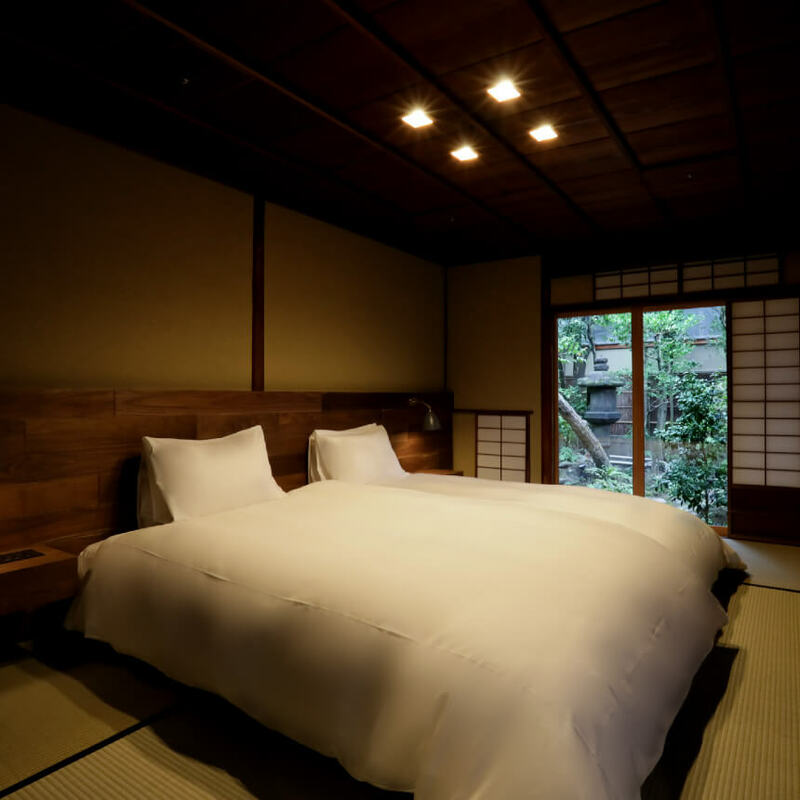 “Suki” brings to mind such things as the tea ceremony, but the origin of the phrase is “to like.” Sukiya architectural style originated with the tea ceremony room, which is a house built according to taste; and in order to please guests a tea ceremony room is distinguished for the way it was built – i.e., in a nonconventional style and with playfulness. 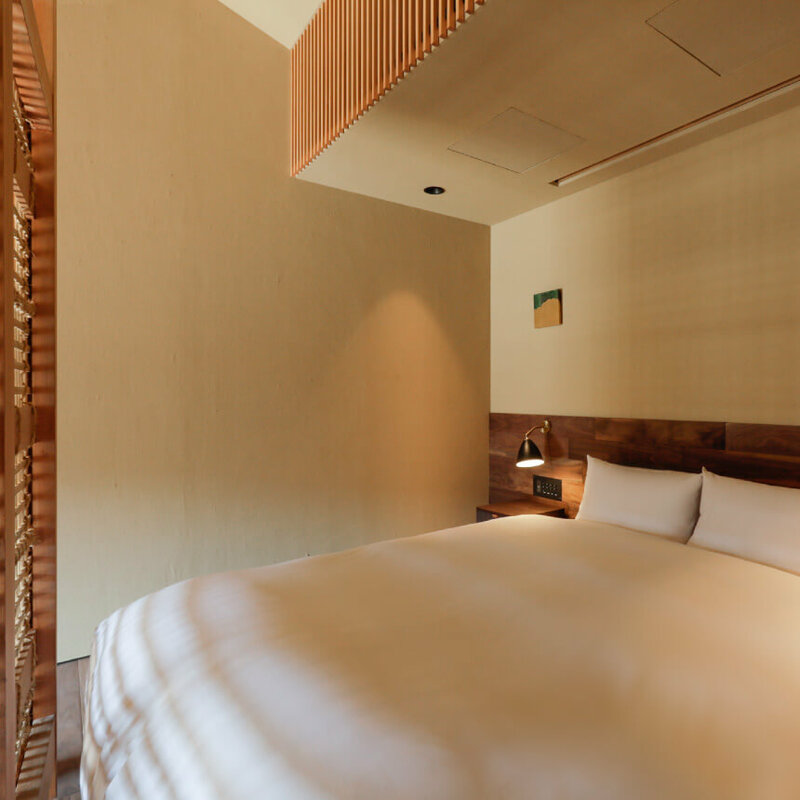 Each of the spacious “Sowaka” guestrooms has its own charm. 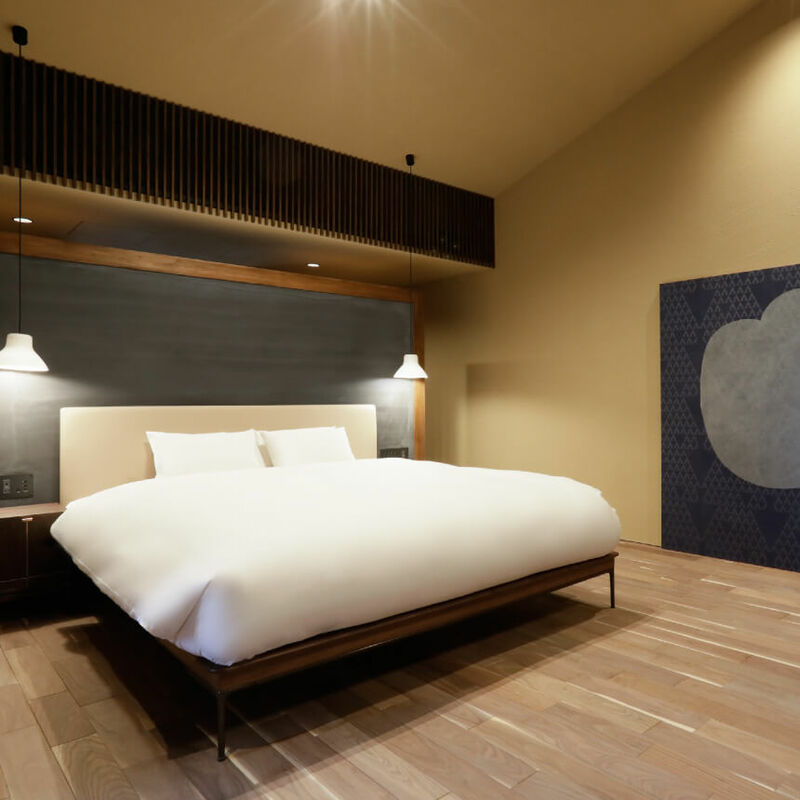 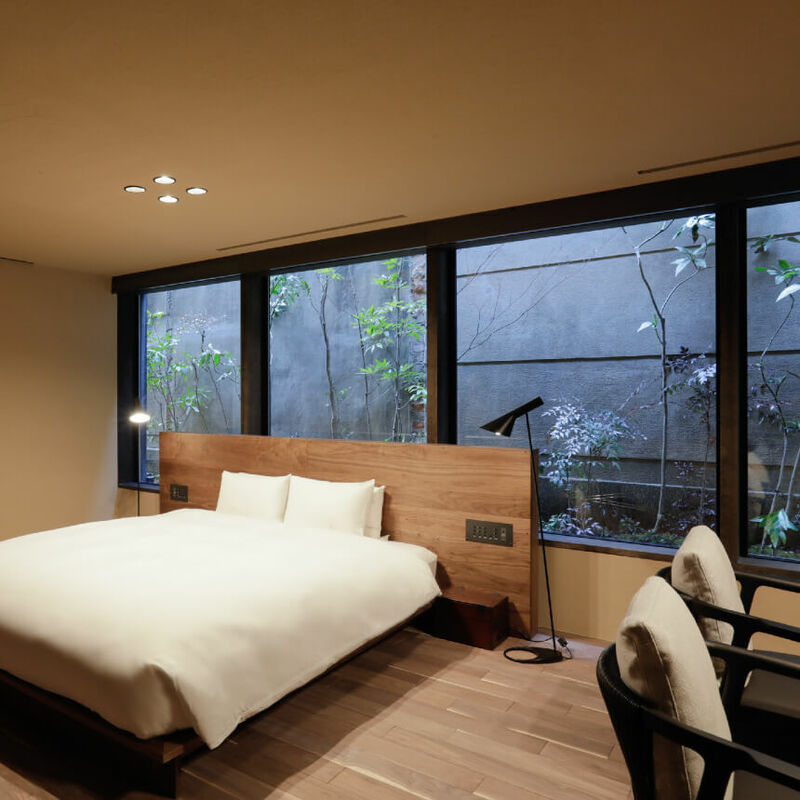 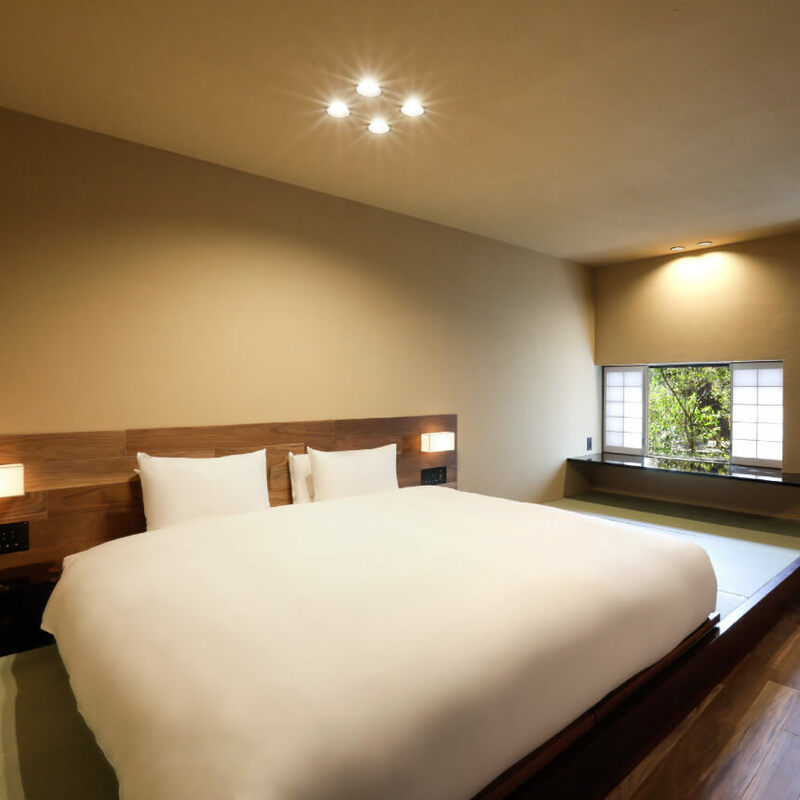 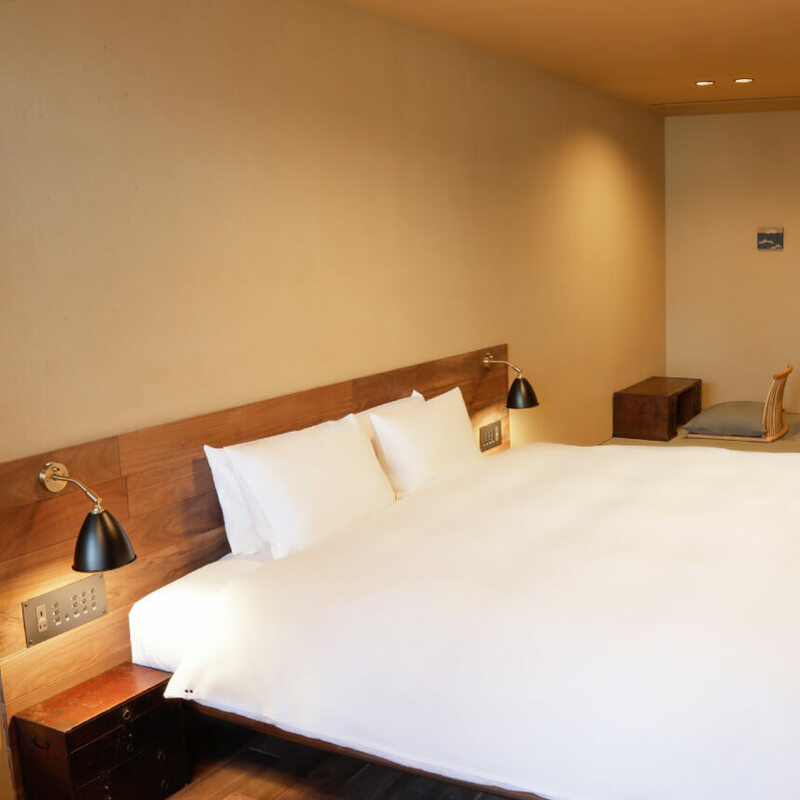 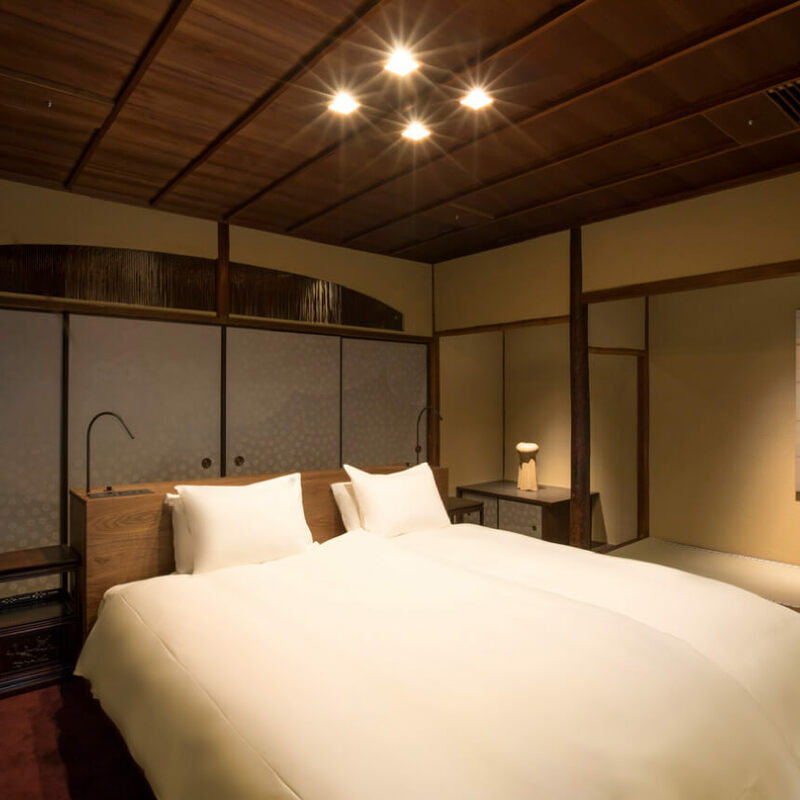 The main building offers rooms with the spirit of distinctively Japanese suki inherited from past generations, while the rooms of the annex give the feeling of the suki of the modern age. 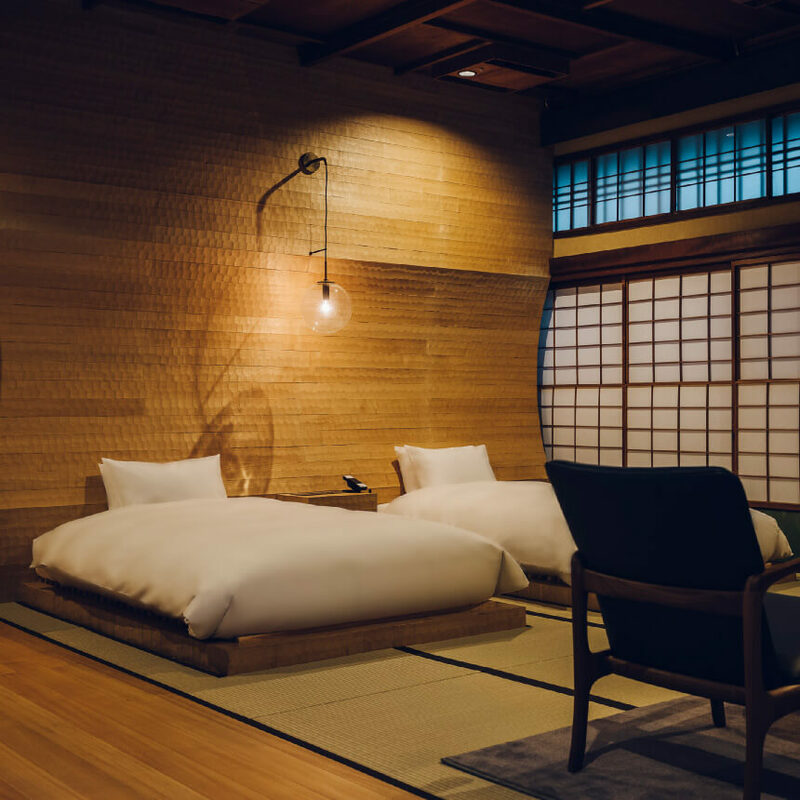 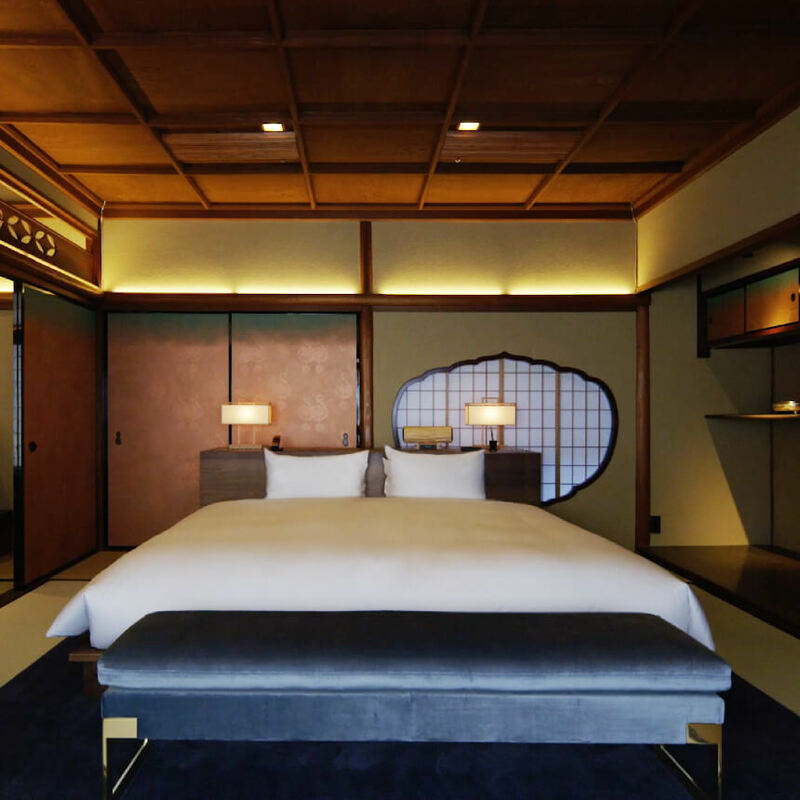 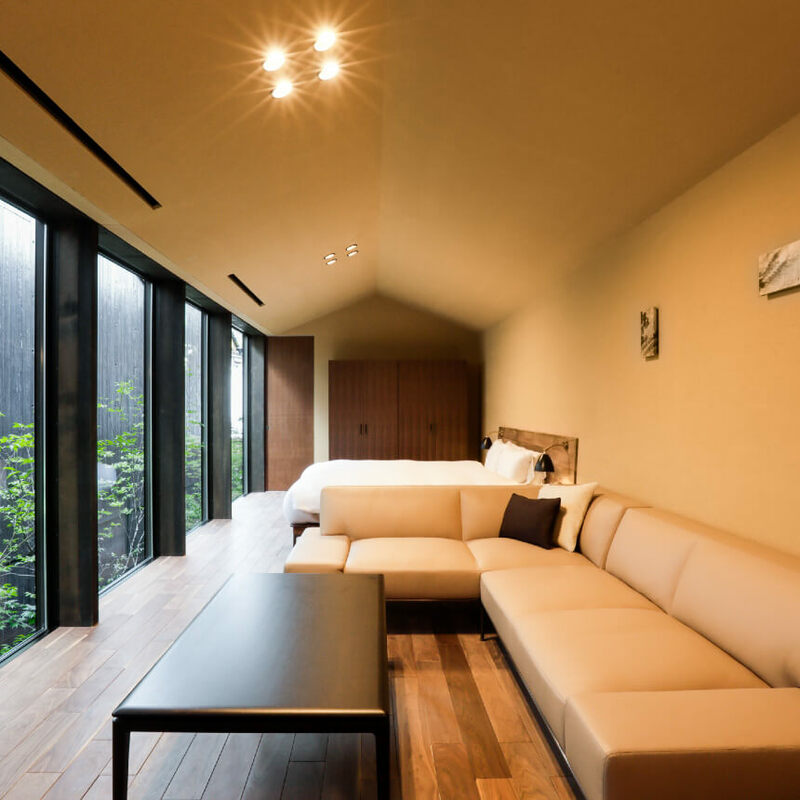 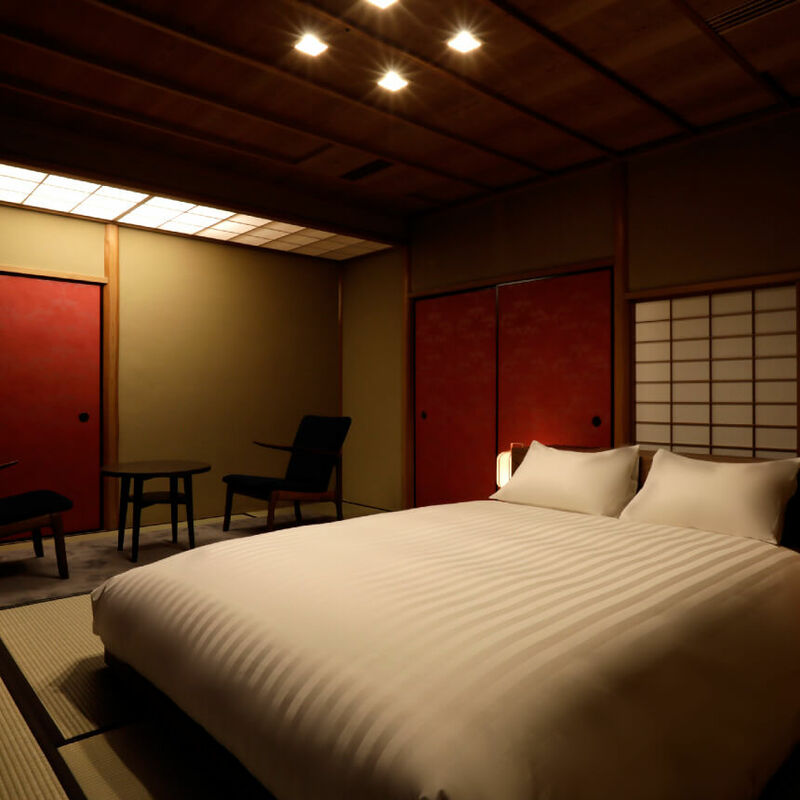 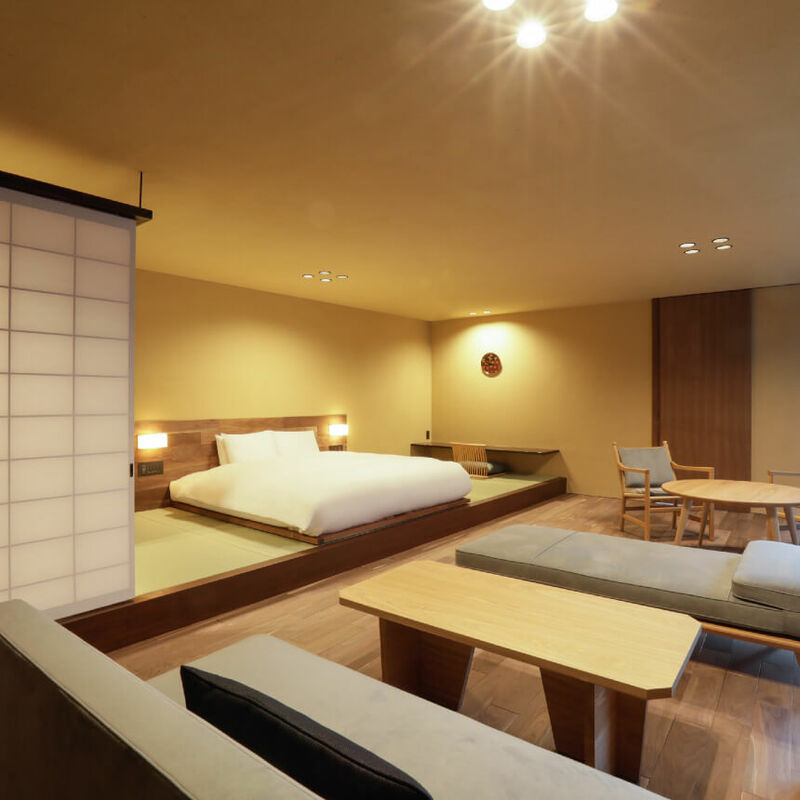 Please enjoy your stay amid unprecedented style that combines a Japanese aesthetic sense with comfort. 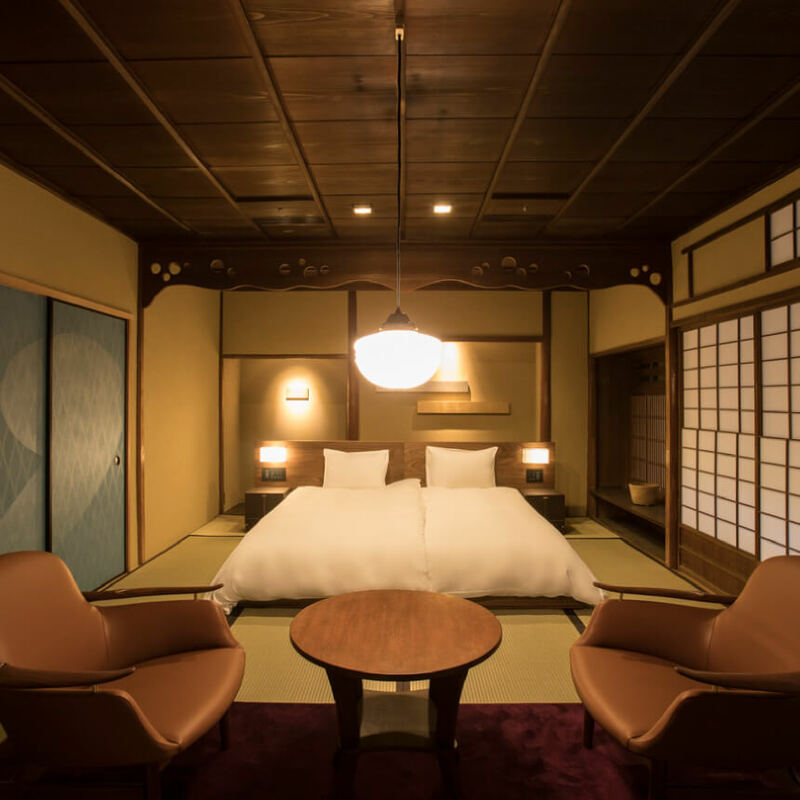 The main building was constructed in the sukiya architectural style as a Japanese-style restaurant between the end of the Taisho Period and around the beginning of the Showa Period. 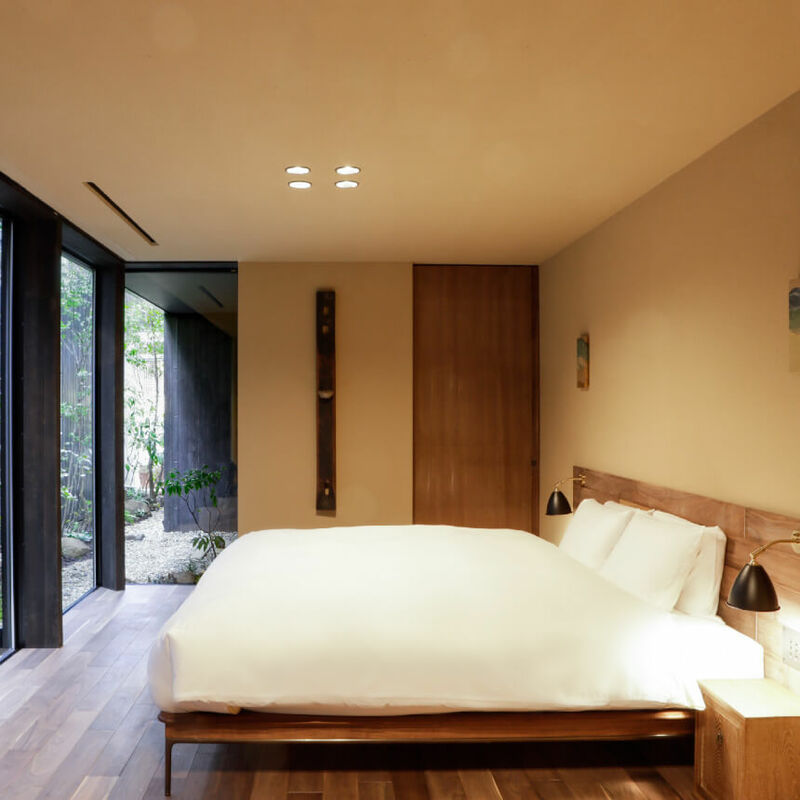 The design details differ from room to room, creating a sophisticated building showcasing superb craftsmanship and playfulness. 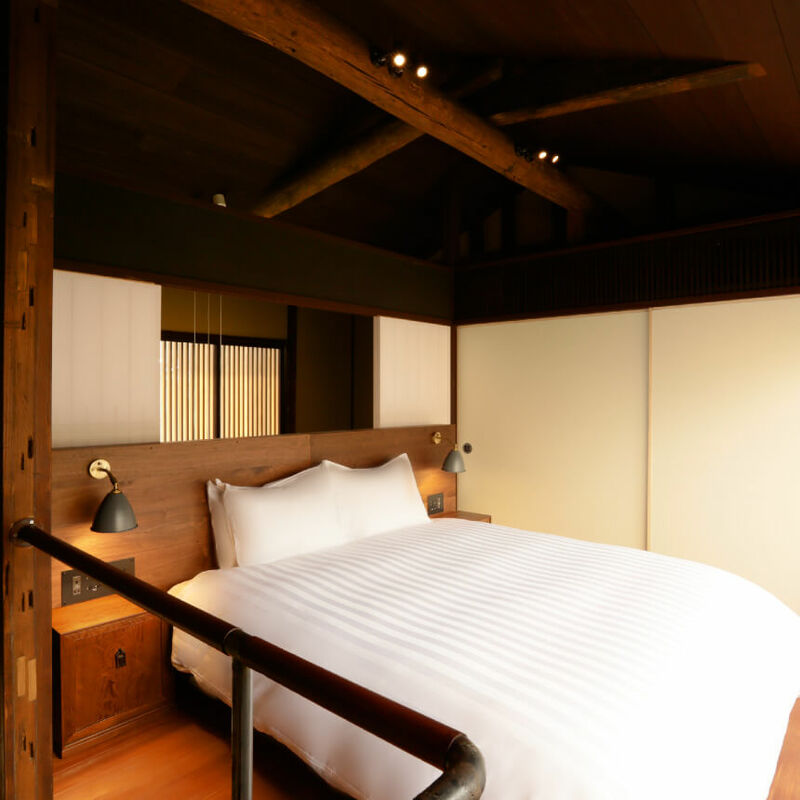 Based on the original structure and details,the eleven pleasantly arranged guestrooms come in a wide variety,including rooms with a private garden and maisonnette-type rooms. 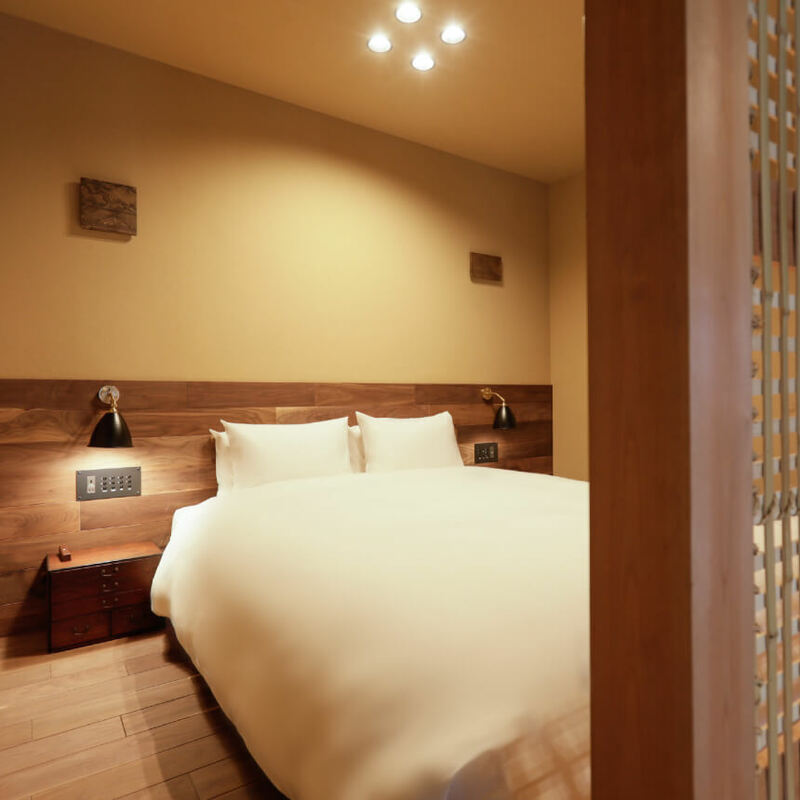 Our guests can savor the distinctive charm of each individual room. 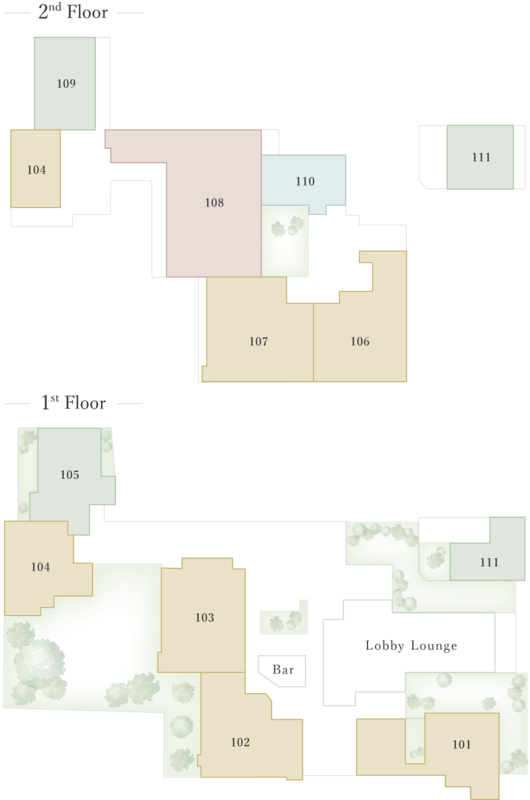 The annex avoids the uniform structure of a regular hotel in which the corridors are lined with doors. 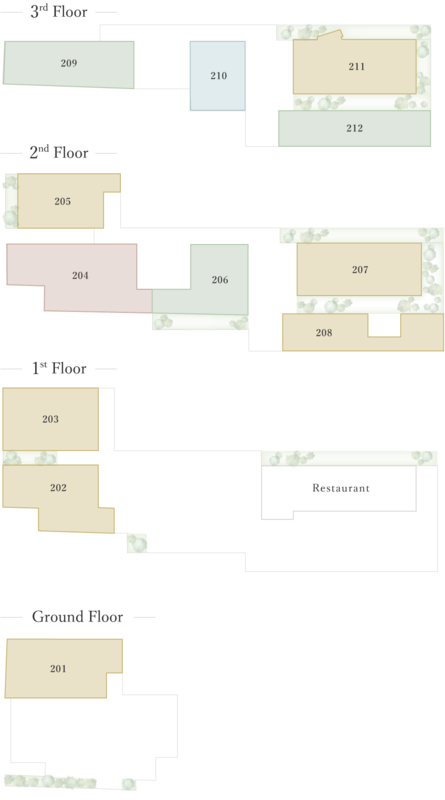 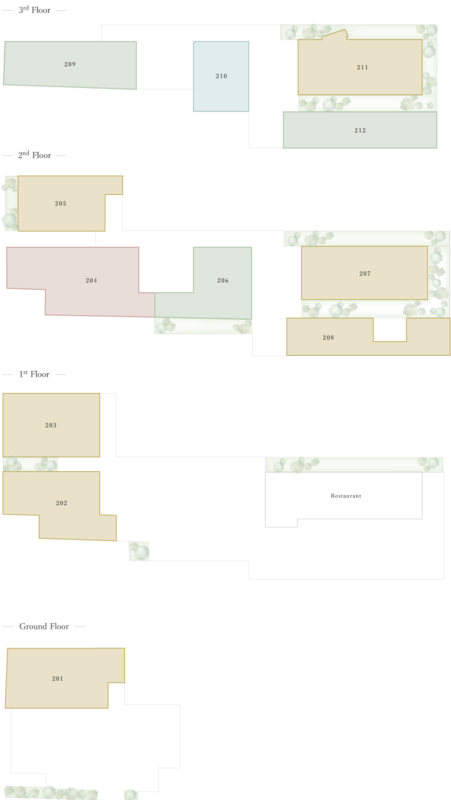 Rather, with the spacious layout of the annex,the rooms are not adjacent to each other. 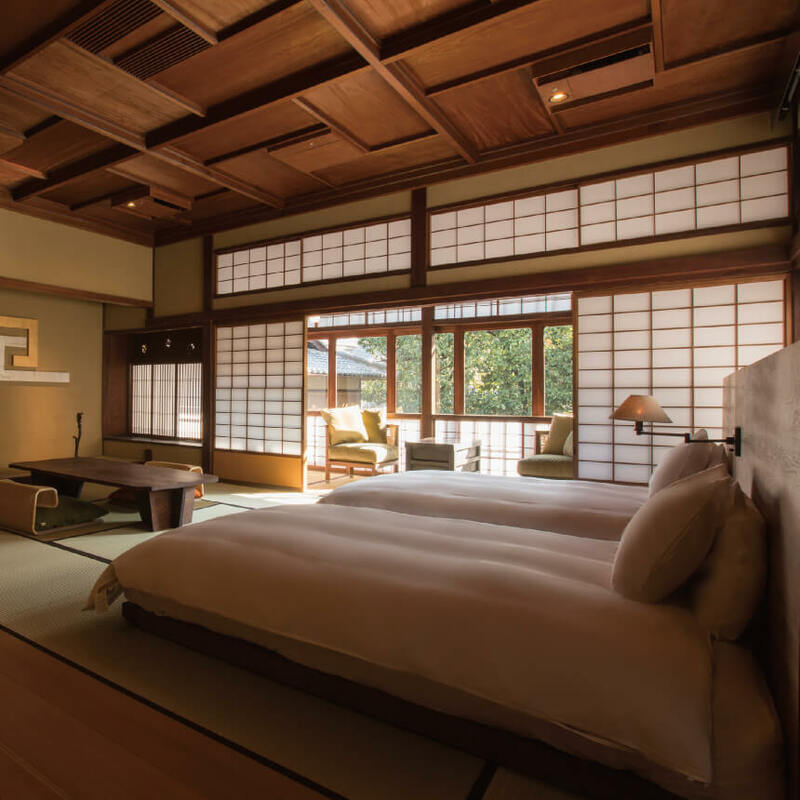 To get to any of the rooms the guest walks down a common corridor,then enters through a short passageway leading from the corridor,as if walking down a narrow alley in Kyoto. 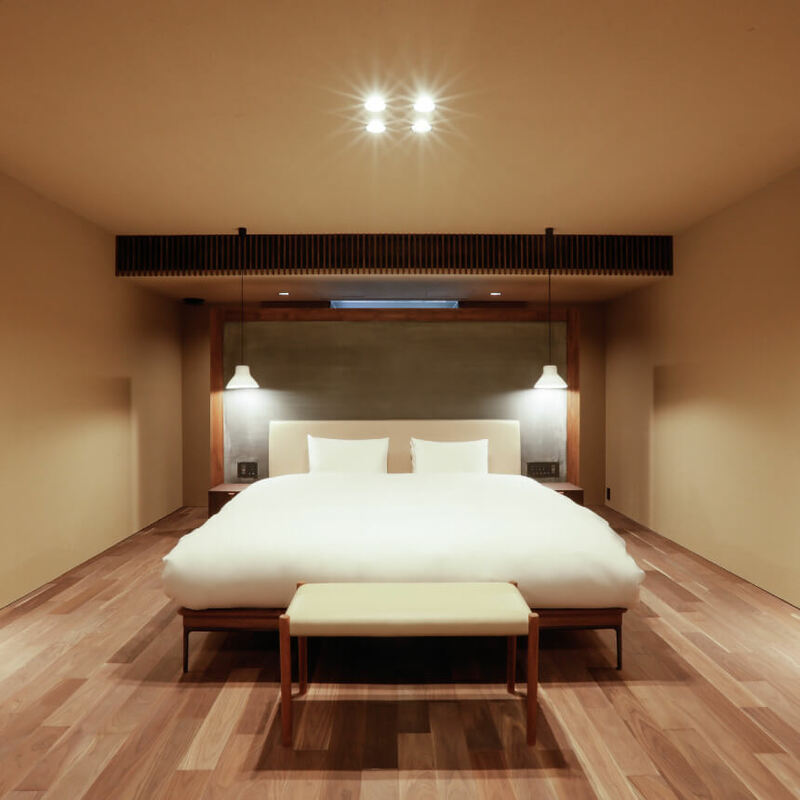 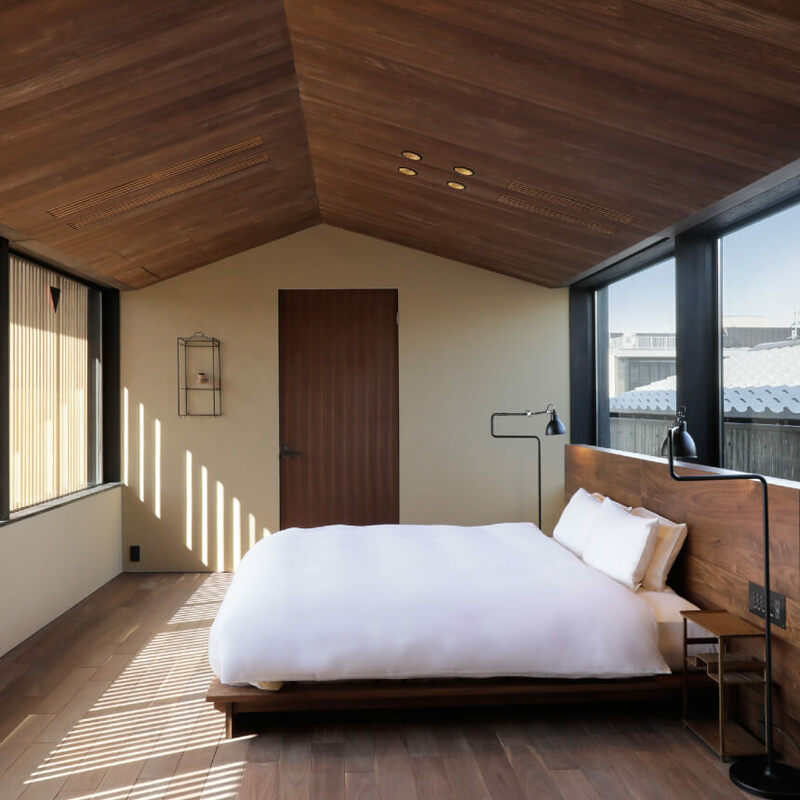 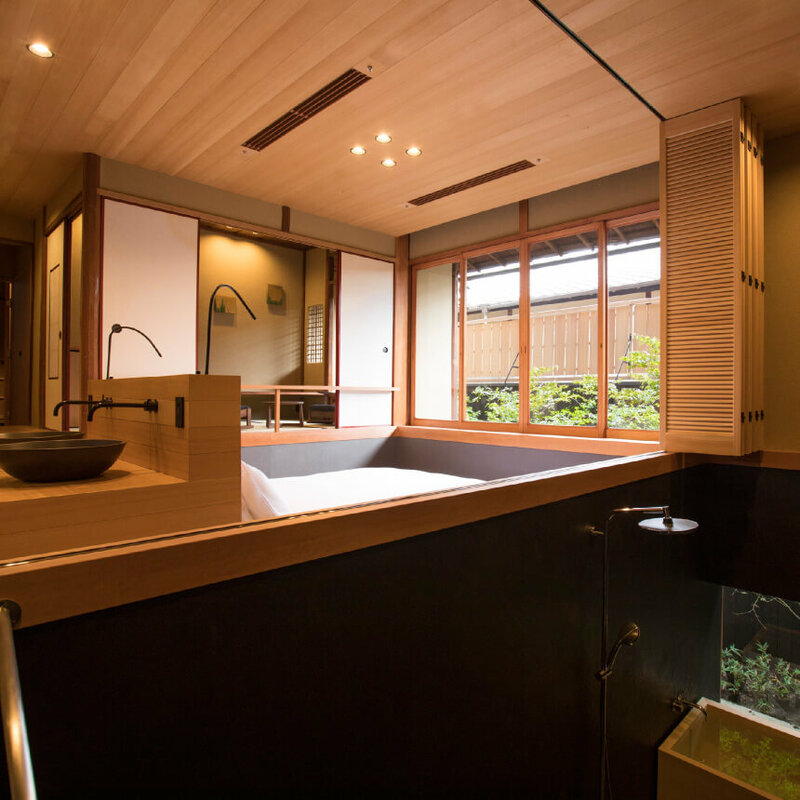 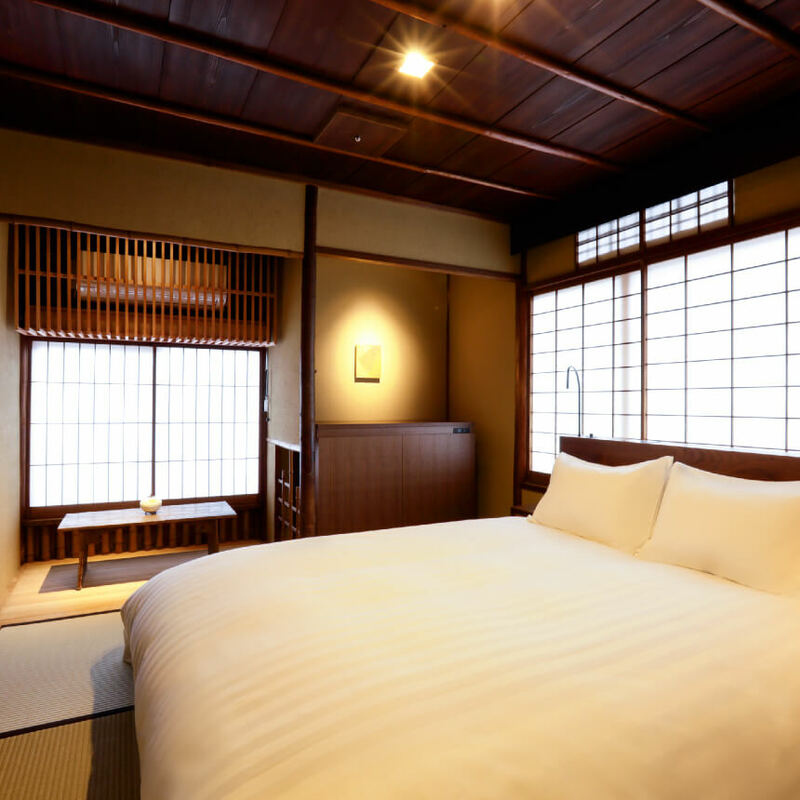 Each of the rooms is unique: some are long and narrow like townhouses,some come with an additional small tatami-matted room, and others are equipped with a semi-outdoor bath,to accommodate and satisfy guests with various needs and preferences.